Lettering in photo by Anne Robin Calligraphy. I saw this article today, published to commemorate October 15th, Pregnancy & Infant Loss Remembrance Day. I hope you find it as moving as I did. 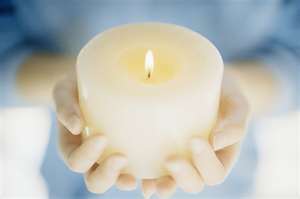 Raise your voices, light a candle and share your stories today #IHadAMiscarriage. Two years ago I had a miscarriage. This life-threatening, heart cracking experience eclipsed everything that had come before. It was a foggy mid-October afternoon muddled by spots of bewildering blood and foreboding cramping. I was in labor, at home, alone. But how was I to know this when just hours earlier we had seen a strong heartbeat, and all had looked peaceful in utero? I attempted to take things slowly but still “go about my day” as my obstetrician recommended, but I abruptly felt overcome by terrorizing anxiety. My palms became sweaty, my heart raced expeditiously and I was petrified that I might be milliseconds away from losing consciousness. Somehow, I made my way to the bathroom. I thought if I could simply empty my bladder, calm my breath and apply a cold compress to my face, I would resume normalcy. I heard a pop. Or did I? I don’t know anymore. As I started to urinate something else happened. Something even now I have trouble writing about without feeling an urge, almost a compulsion, to scream aloud with sheer horror. My baby slid out. She dangled from me mere centimeters from the toilet-bowl water. My window-clad house should have shattered from the pitch of my prolonged primordial howl. It didn’t. I did. I was 16 weeks pregnant. I fervently called my doctor and texted my closest friends and family “I HAD A MISCARRIAGE” in an effort to galvanize physical and emotional wherewithal. Somehow I had the presence of mind to know that if I didn’t, not only would my daughter die today, so could I.
I cut the umbilical cord, and immediately began to bleed. No longer part of a symbiotic union, dizzy with despair and confusion over this separation, I found a way to stay the course on the practical matters of caring for myself. My doctor talked me through what to do, stressing the need to get to her office, and quickly, with my baby in a plastic bag to send to the lab for testing. My husband came for me immediately. I straddled a pile of towels, still hemorrhaging, as we numbly sped to her office, mute. There was no time for anesthesia and the only way to make the bleeding stop was to extract the placenta. So, there I lay, feeling the D and C machine tug out the remainder of my pregnancy. After a few inhales of smelling salts, and with nothing but some snapshots of the fetus, we returned home. Rarely do I ruminate, but sometimes — especially around the anniversary of my loss, as my grief swirls — I wonder if she felt anything. I wonder what happened to her. Did her heart stop beating before or after she fell from my body? I like to think, though I know this is pure conjecture, that this miscarriage, though tragic, ultimately allowed me to bypass the decision I would have faced if we had learned about her chromosomal abnormality after the scheduled amniocentesis a couple of weeks later. The choice was not mine. How do we honor our losses, and the fact that life doesn’t always make much sense? We shouldn’t feel ashamed of our traumas, nor should we hide the consequent grief. It’s not that I necessarily feel proud of having a miscarriage, but I do feel compelled to question why it seems as if we rarely talk about pregnancy loss, though the statistics are staggering. Is it resounding cultural shame? Speckles of self-blame? Steadfast stigma? The notion that talking about “unpleasant” things is a no-no? It’s a hard topic. But if every woman who has lost a pregnancy to miscarriage or stillbirth told her story, we might at least feel less alone. 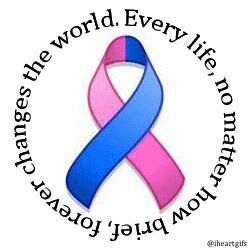 Today, October 15, is Pregnancy and Infant Loss Remembrance Day. 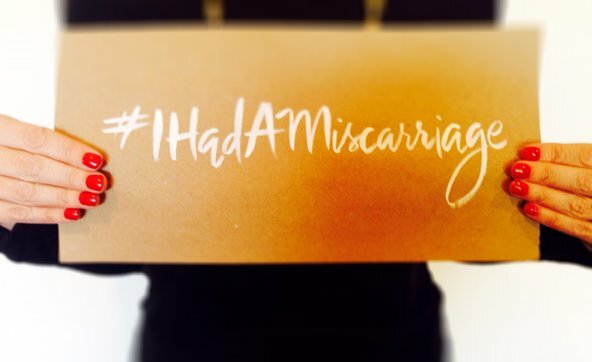 Along with many others, I’ll be honoring the life-altering bereavement millions of us have faced by sharing my story on Twitter with the hashtag #IHadAMiscarriage. I hope others will join me. And tonight, in what has become a tradition on this date for many families, I will light a candle for the child I never knew and take a moment to appreciate even more deeply the children I have. Dr. Jessica Zucker , Ph. D., is a Los Angeles based clinical psychologist specializing in women’s reproductive and maternal mental health.